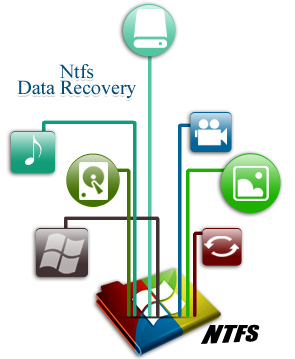 NTFS data recovery software safely recovers data loss from your hard disk drive partitioned on NTFS, NTFS5 file system on your Laptop or Desktop PC. The software easily recovers files lost due to accidental deletion, corrupted hard disk, virus infected drive and other data loss reasons. Data retrieval tool supports Hard disk manufactures including Hitachi, Western Digital, Seagate, IBM, Samsung, Maxtor, Toshiba etc. Professional and easy to use Data recovery software for NTFS supports all major EIDE, SCSI, SATA, IDE disk drives standards for the lost data recovery. The software is very easy to use and does not require any special technical proficiency or skills for software operation. Easily recovers lost files and folders from hard disk drive partitioned on NTFS file system. Recover files and folders of any local drive on Windows operating system. Supports major hard disk standards including IDE, EIDE, SATA, PATA, and SCSI disk drive. Support all major hard disk storage capacity. Support both localized and long file name. Allow users to preview file content before actual recovery. Scan lost data by virus attack or with damaged MBR (Master Boot Record). Most advanced recovery algorithms used for the data recovery. Standard windows explorer style interface with user friendly GUI support.